"Imagine Stephen Stills’ Love the One You’re With given the Otis Redding treatment with heaping helpings from the pews. And then toss in Randolph’s mighty pedal steel into the mix? Oh, mama ..."
"... the performances on Lickety Split are smokin’. Stellar musicianship is this record’s cornerstone, as well as the engineering and mixing ... everyone gets A's on how they executed their performances ... the solos from Randolph (are) his most exploratory and virile." "... Randolph & The Family Band rock out with flair ... espouses bluesy rock similar to Earth, Wind and Fire. Randolph's sprawling, sacred steel solos feature prominently on the album and his talented bandmates add fire ... especially backing vocalist Lenesha Randolph, whose harmonious singing accentuates Randolph's soulful croon." 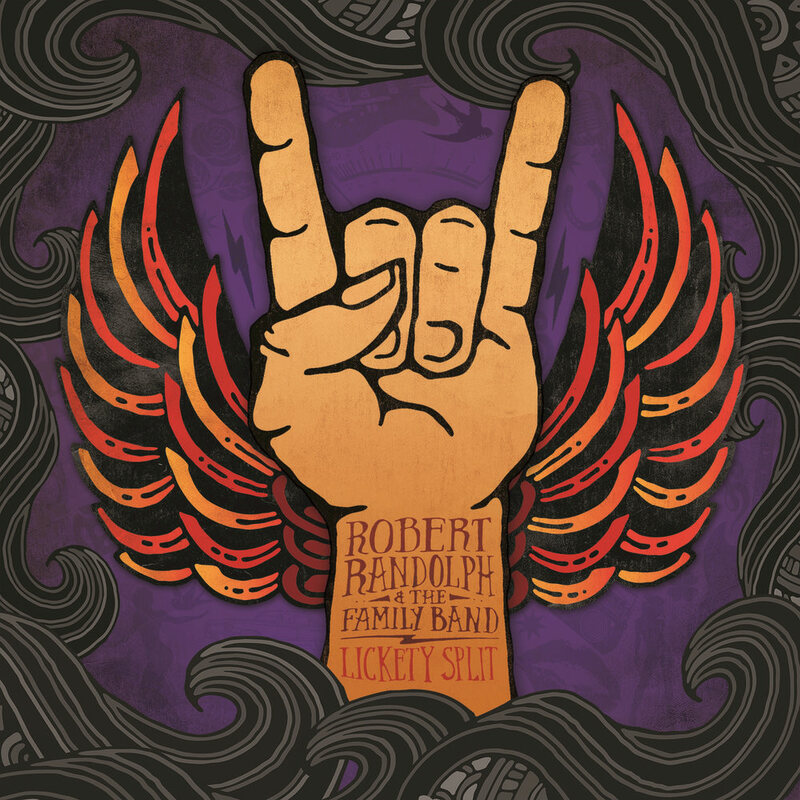 Lickety Split, released in 2013, was the first studio album from Robert Randolph & The Family Band in over in three years and his debut for Blue Note Records. Named one of Rolling Stone's 100 greatest guitarists, Randolph is in top form on the pedal steel, accompanied by his equally talented Family Band and special guests Carlos Santana and Trombone Shorty.